Patrick Meier: Does the Humanitarian Industry Have a Future in The Digital Age? I recently had the distinct honor of being on the opening plenary of the 2012 Skoll World Forum in Oxford. The panel, “Innovation in Times of Flux: Opportunities on the Heels of Crisis” was moderated by Judith Rodin, CEO of the Rockefeller Foundation. I’ve spent the past six years creating linkages between the humanitarian space and technology community, so the conversations we began during the panel prompted me to think more deeply about innovation in the humanitarian space. Clearly, humanitarian crises have catalyzed a number of important innovations in recent years. At the same time, however, these crises extend the cracks that ultimately reveal the inadequacies of existing humanita-rian organizations, particularly those resistant to change; and “any organization that is not changing is a battle-field monument” (While 1992). Fourth, other than UN Global Pulse, humanitarian agencies are not investing time and resources to manage Big (Crisis) Data. Why? Because they have neither the time nor the know-how. To this end, they are starting to “outsource” and indeed “crowdsource” these tasks—just as private sector businesses have been doing for years in order to extend their reach. Anyone actually familiar with this space and developments since Haiti already knows this. The CrisisMappers Network, Standby Volunteer Task Force (SBTF), Humanitarian OpenStreetMap (HOT) and Crisis Commons (CC) are three volunteer/technical networks that have already collaborated actively with a number of humanitarian organizations since Haiti to provide the “surge capacity” requested by the latter; this includes UN OCHA in Libya and Colombia, UNHCR in Somalia and WHO in Libya, to name a few. In fact, these groups even have their own acronym: Volunteer & Technical Communities (V&TCs). These are not isolated efforts. Back in Egypt, volunteers used IntaFeen.com to crowdsource and coordinate their own humanitarian convoys to Libya, for example. The company LinkedIn has also taken innovative steps to enable the matching of volunteers with various needs. They recently added a “Volunteer and Causes” field to its member profile page, which is now available to 150 million LinkedIn users worldwide. Sparked.com is yet another group engaged in matching volunteers with needs. The company is the world’s first micro-volunteering network, sending challenges to registered volunteers that are targeted to their skill set and the causes that they are most passionate about. So given the rise of “self-quantified” disaster-affected communities and digitally empowered volunteer communities, is there a future for traditional humani-tarian organizations? Of course not, anyone who suggests otherwise is seriously misguided and out of touch with innovation in the humanitarian space. 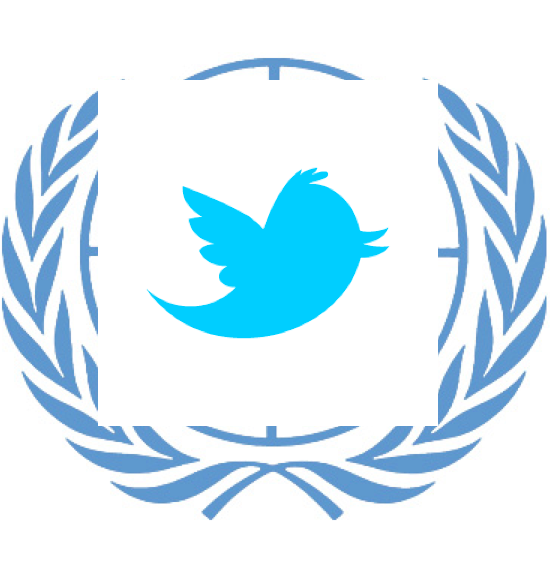 Twitter will not put the UN out of business. Humanitarian organizations will continue to play some very important roles, especially those relating to logistics and coor-dination. These organizations will continue outsourcing some roles but will also take on some new roles. The issue here is simply one of comparative advantage. Humanitarian organizations used to have a comparative advantage in some areas, but this has shifted for all the reasons described above. So outsourcing in some cases makes perfect sense. In conclusion, and as argued about two years ago, the humanitarian industry is shifting towards a more multi-polar system. The rise of new actors, from digitally empowered disaster-affected communities to digital volunteer networks, has been driven by the rapid commercialization of communication technology—particularly the mobile phone and social networking platforms. These trends are unlikely to change soon and crises will continue to spur innovations in this space. This does not mean that traditional humanitarian organizations are obviously obso-lete. Their roles are simply changing and this change is proof that they are not battlefield monuments. Of course, only time will tell whether they change fast enough.